I spent the weekend representing Kernel Season’s at the BlogHer Food conference in Miami. As I mentioned last week, Miami had big shoes to fill in my mind after last year’s fun in Austin. Well, in short, Miami totally delivered. I’ll share more about the ins-and-outs of the conference later this week but I had to share a little more about Kernel Season’s and all of the popcorn & seasoning fun we had. Kernel Season’s sent me a generous supply of product samples & coupons to share with other conference attendees. Shortly after arriving (starved) on Wednesday, Erin and I ran over to the nearby Publix and right when we walked in I eyed a large display of popcorn so I had to grab some for hotel room snacks, with which we savored a couple of the popcorn samples ourselves with Megan, Lauren, Meagan and Katie. 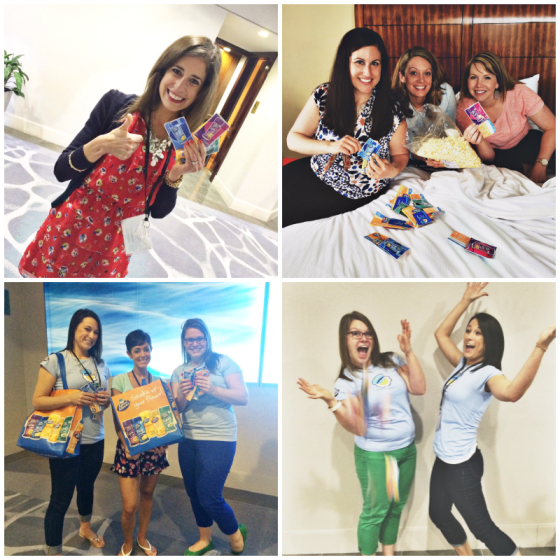 And of course, we shared plenty with our fellow bloggers too! You all know that popcorn is my #1 favorite snack so it only made sense to share some at the conference. 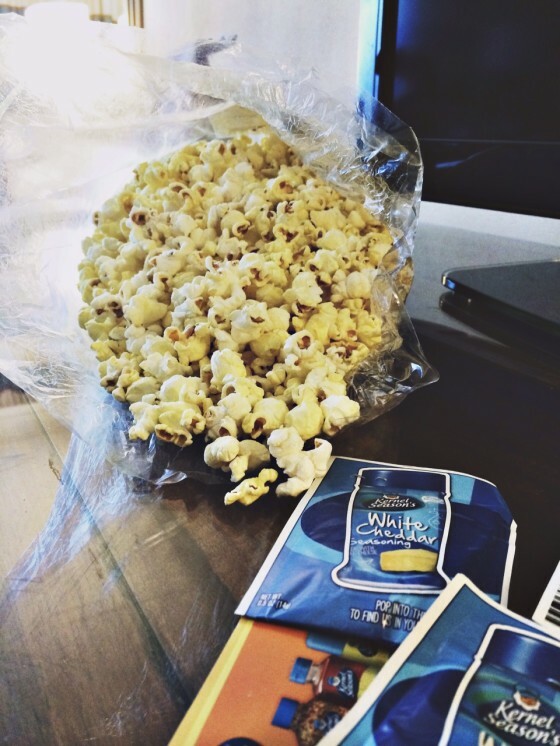 Decompressing back at the hotel room wouldn’t have been the same without some white cheddar popcorn…along with some wine, of course! But if I can’t have popcorn, then I want a dip. And this one might very well be my new favorite. It’s hot – both spicy and temperature-hot and I could have eaten all of it all to myself! The crab adds amazing flavor and gives the perfect balance of sweetness to the spicy jalapeno. And of course, I threw in some of Kernel Season’s Cheesy Jalapeno Seasoning! Check out Kernel Season’s on their Blog, Facebook, Pinterest and Twitter. And enter to win a Kernel Season’s Prize Pack on last week’s post! 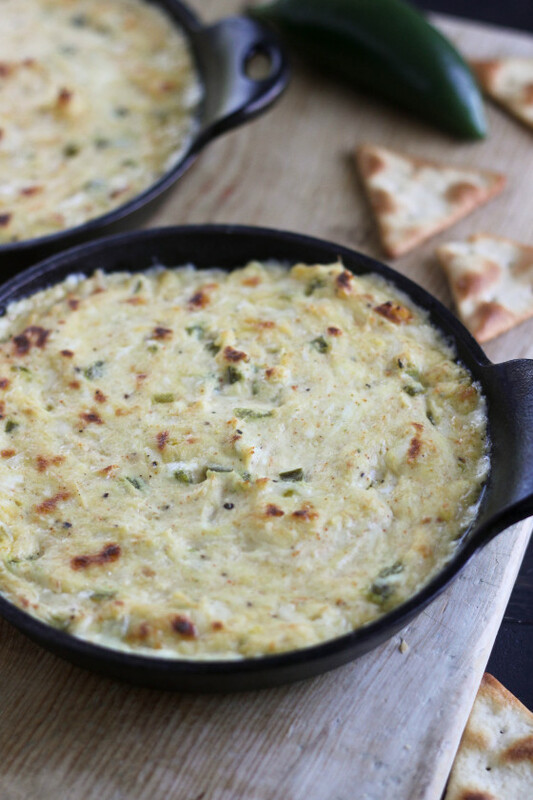 Creamy & spicy & cheesy jalapeno dip stuffed with crab! Mix all ingredients together in a large bowl until well-combined & fully distributed. Transfer the mixture to two small (I used two 5-inch cast iron pans) or to one medium baking dish. Bake for about 10 minutes, until heated through, and then broil for an additional 2-3 minutes until the top is golden brown. 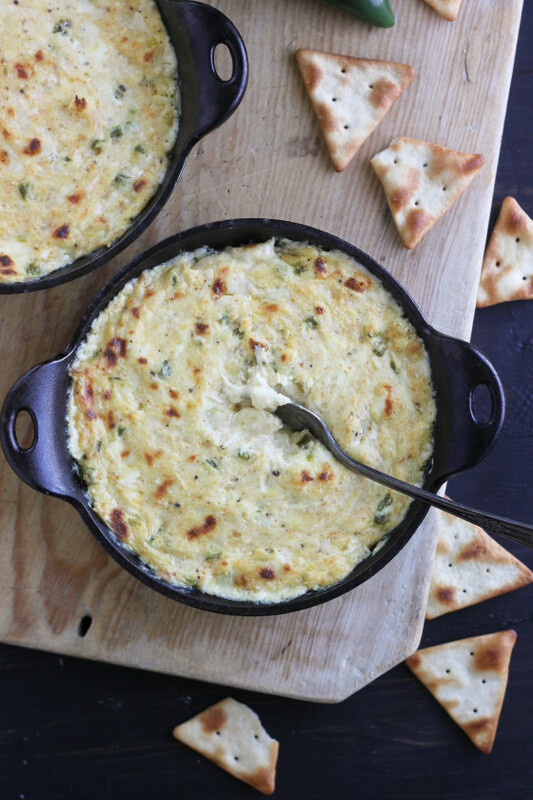 Serve immediately with crackers, tortilla chips, veggies and/or pita bread. Kernel Seasons graciously sponsored my trip to BlogHer Food in Miami. I have developed this recipe in partnership with Kernel Season’s. All opinions are my own. Thank you for supporting brands who support Bake Your Day. What a great idea! I’m obsessed with popcorn and love mixing it up, so this seasoning sounds great. But even better to put it in a dip! That looks really great, very delicious!! It sounds like you’ve had a wonderful time! Hats off to the Kernel! So happy we had a little extra flavor to jazz up our frequent Miami snack attacks. This looks awesome! I can’t wait to try it. I’m glad you had a great time in Miami. What a great dip, love the heat from the jalapeño! This look so freaking amazing! Love that you can add the seasonings to anything! I wish we could have had this dip as a snack between our elevator dance parties!! Holla! This looks so good! I wish I were snacking on some right now! This looks SO good!! 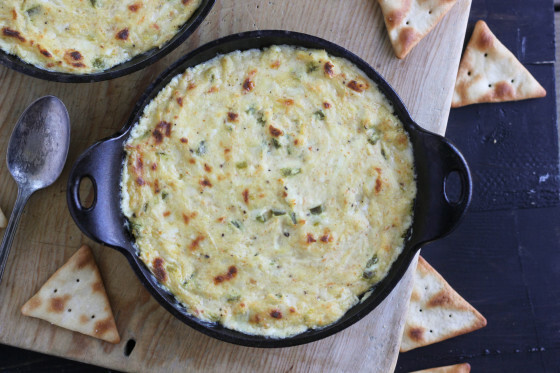 I love the jalapeno with the crab – this is the perfect dip for summertime and cookouts!! Cassie, it looks like Miami was a BLAST! Crab dip is my weakness, I can’t be trusted around it. I gotta try your jalapeño version! Oh my goodness. I have never made any kind of dip before, except for guacamole, and I am itching to try some more recipes. This looks great! This dip has my name written all over it! Looks incredible! OMG – I would not be able to control myself with this divine dip of yours!!! So fun! I’m pretty sure all fun events in life should include popcorn and dips. Perhaps to dip the popcorn IN. Love how cheesy this is! 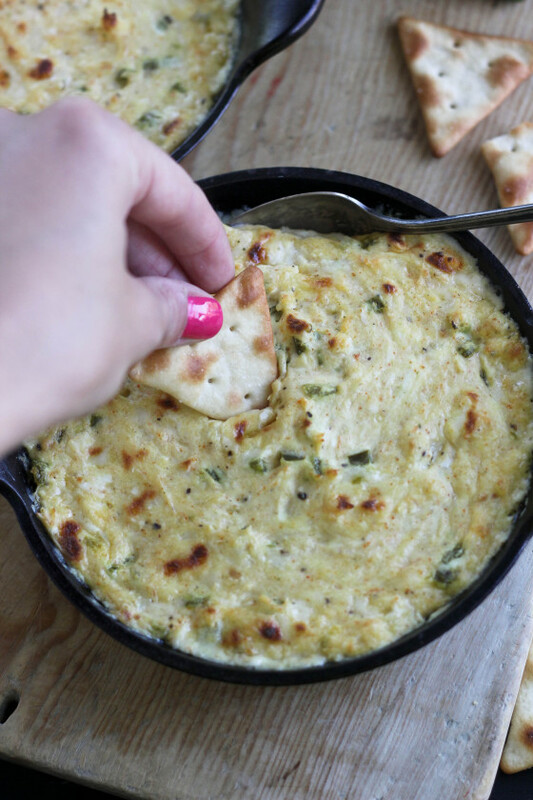 This dip is calling my name! Popcorn is always a must have for PJ parties! this looks so good! it’s going on my list of ‘must makes’ SOON!! Jalapeño popper + crab…WOW! Thanks for sharing! I FREAKING LOVE DIPS! Seriously, I’m a dip FIEND, man. And I want to go to town on this incredible, spicy, crabby dip! 🙂 PINNED!